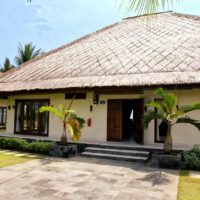 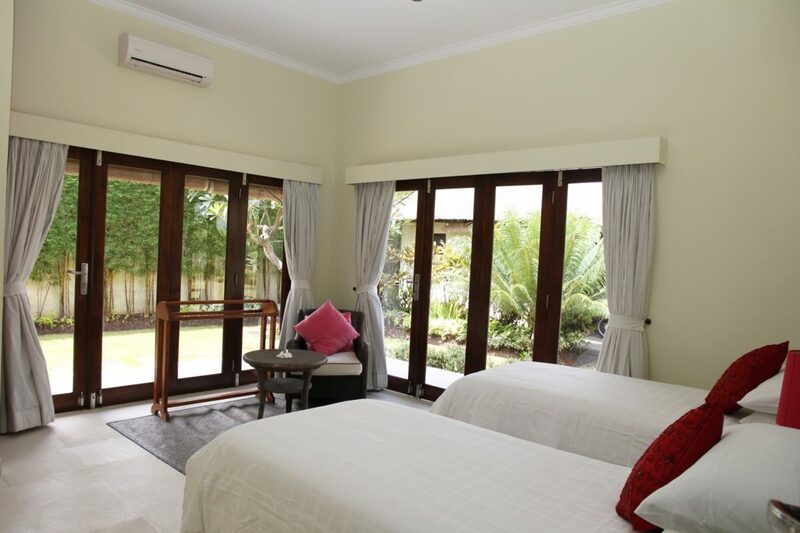 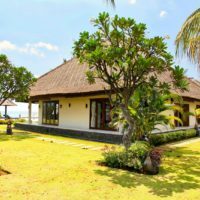 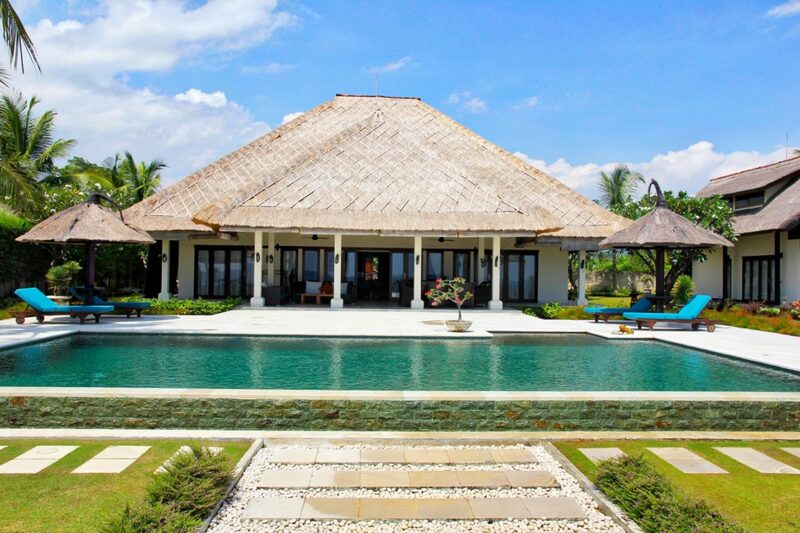 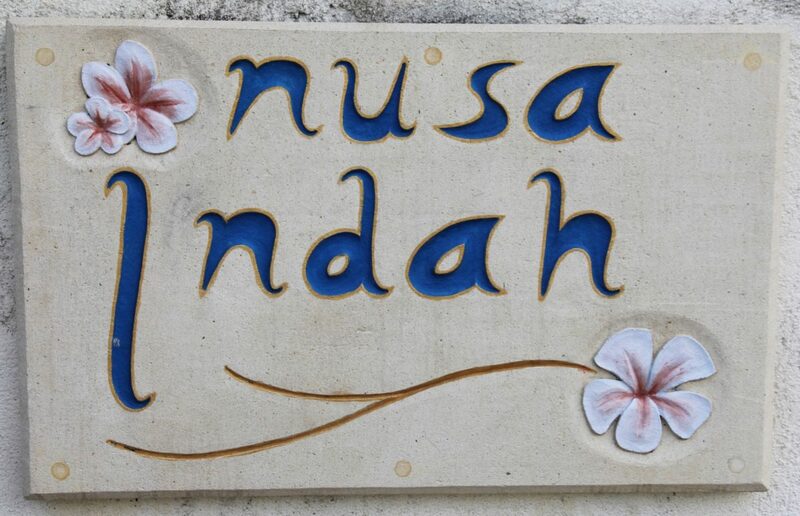 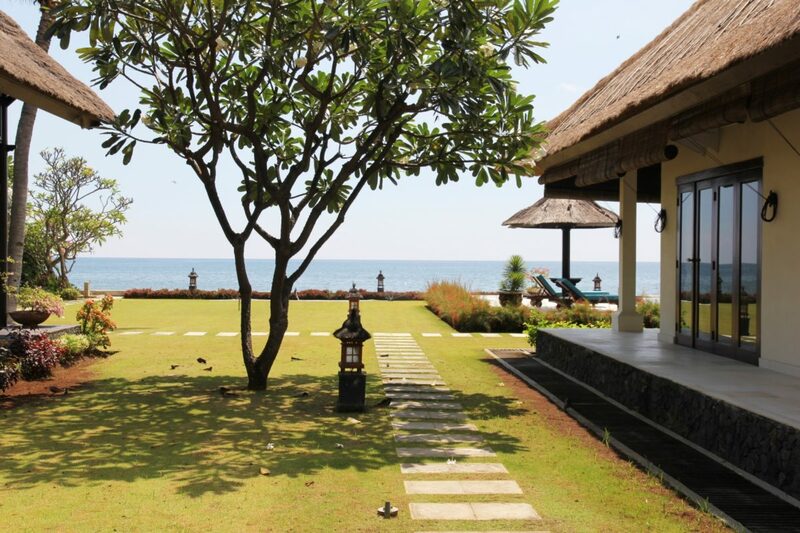 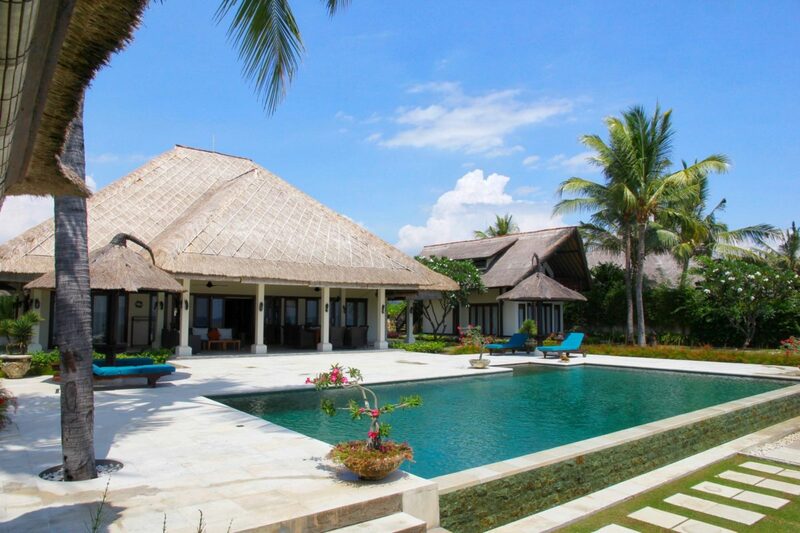 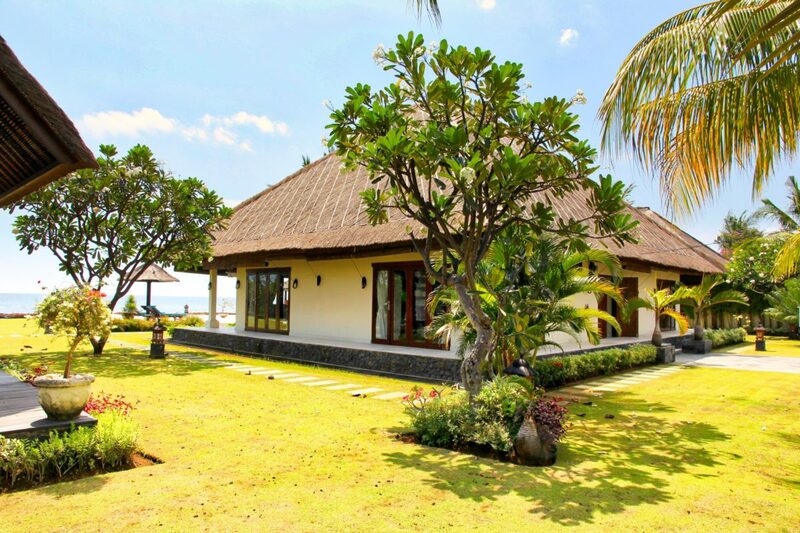 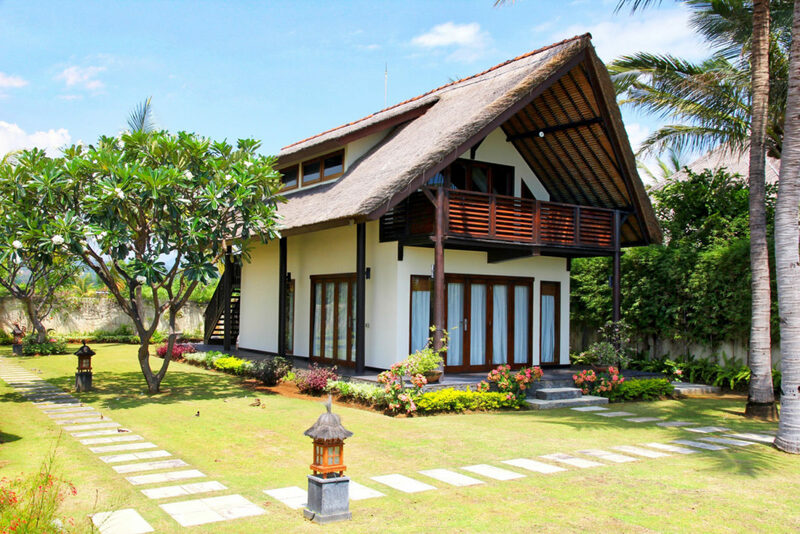 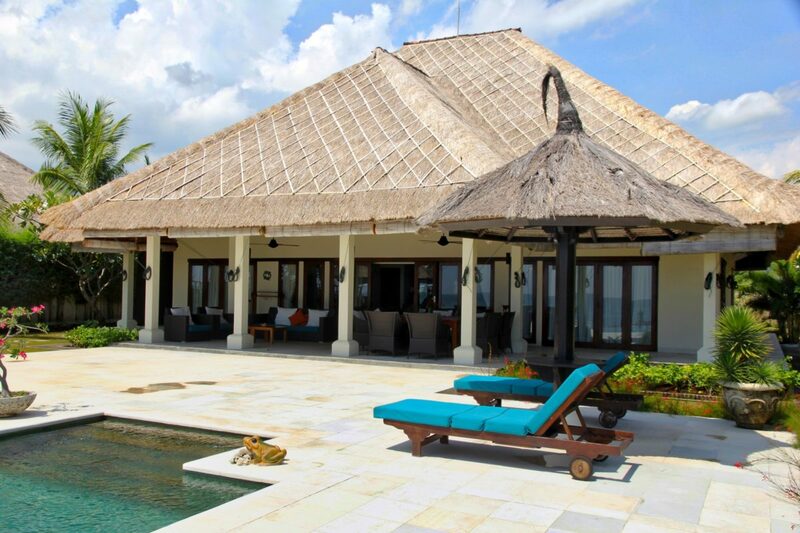 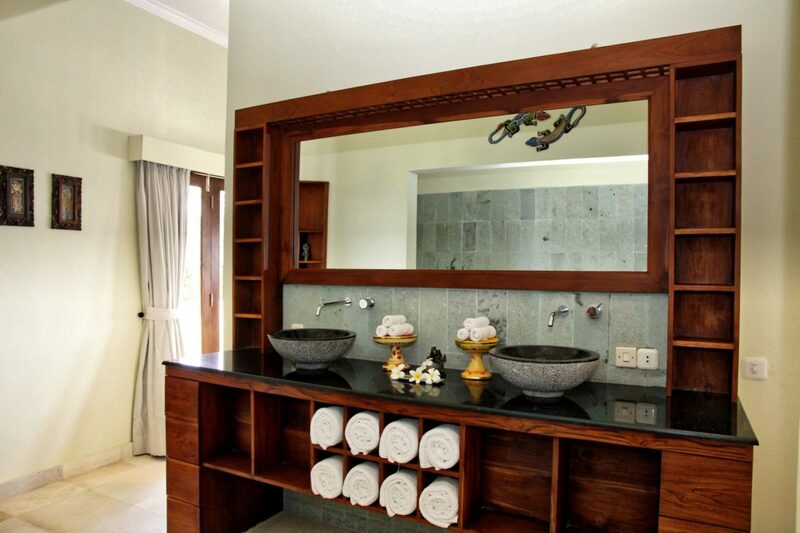 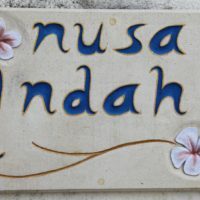 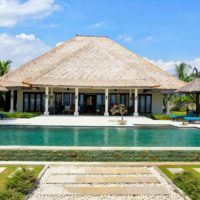 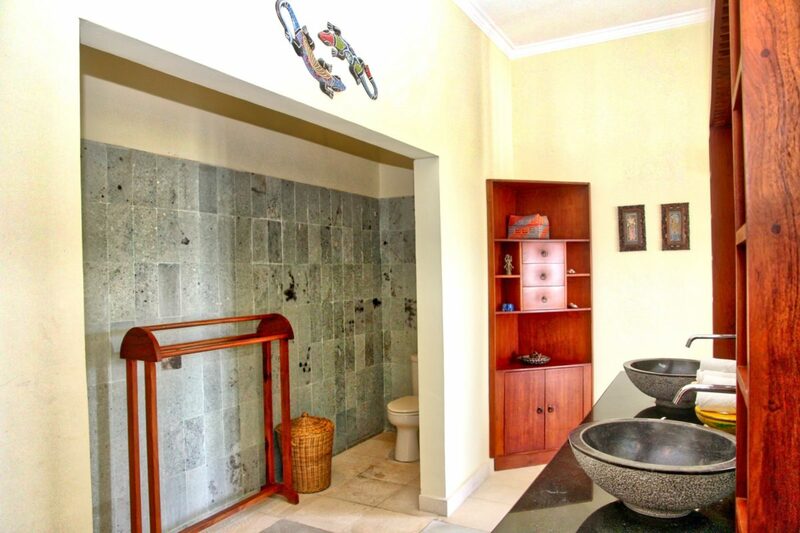 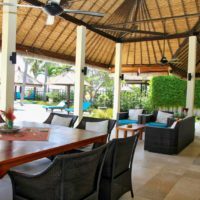 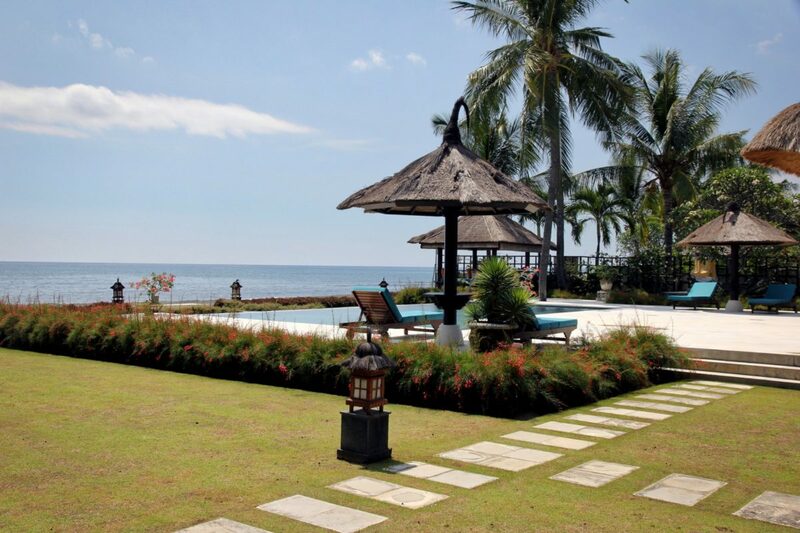 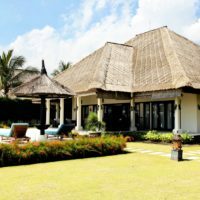 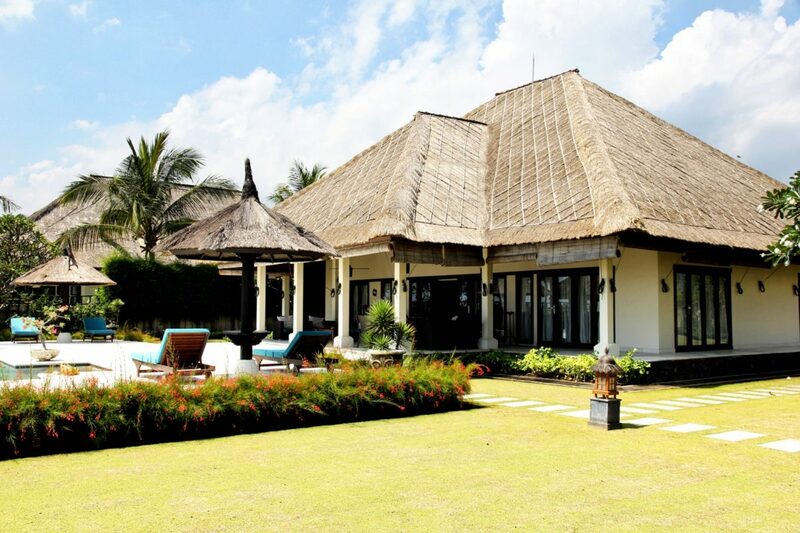 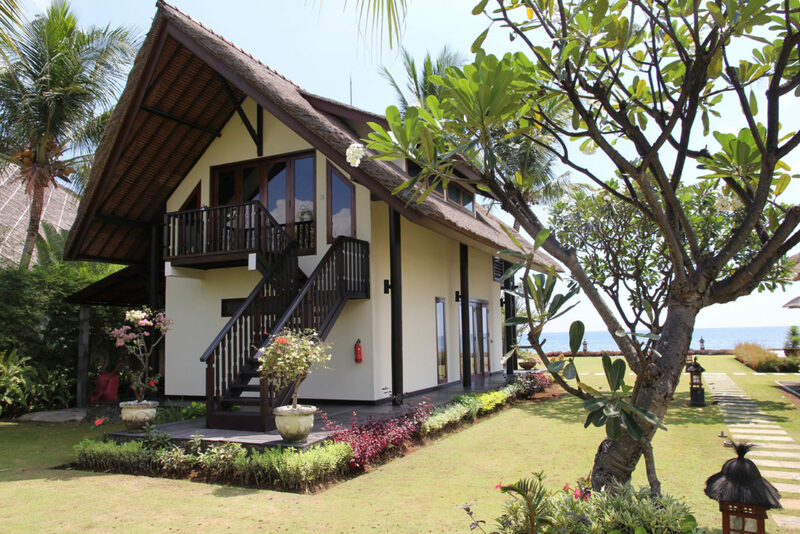 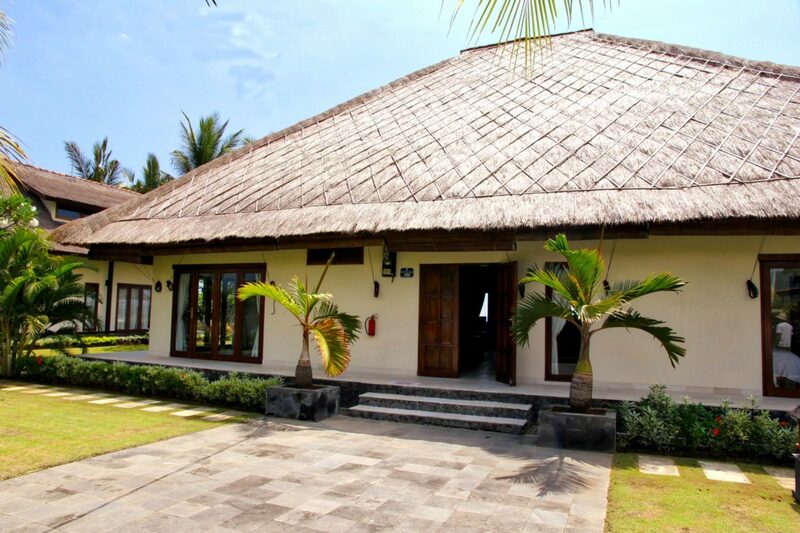 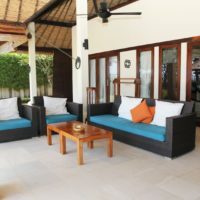 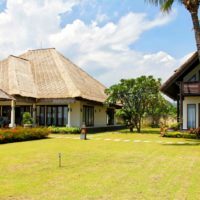 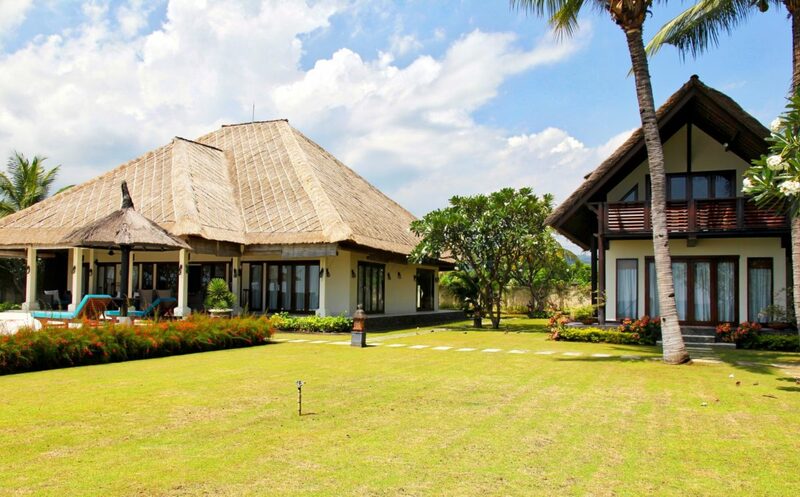 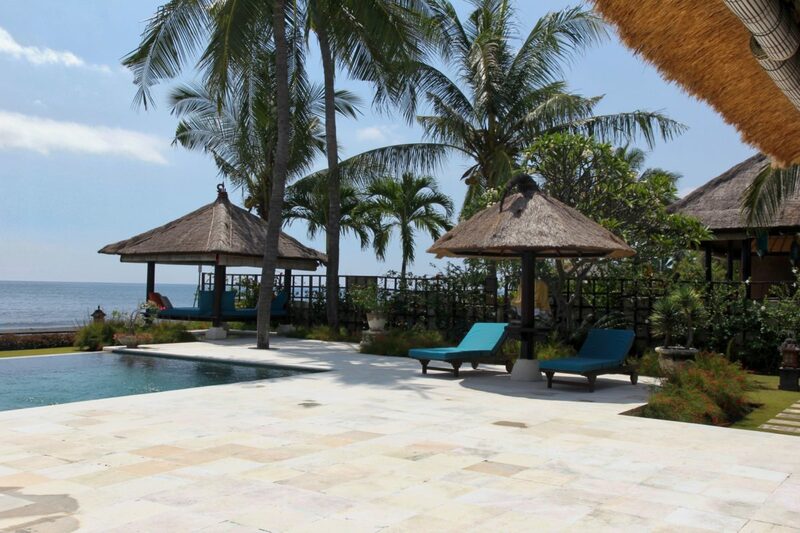 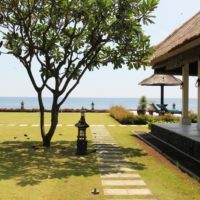 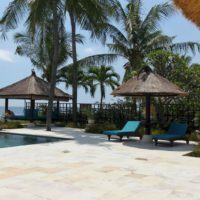 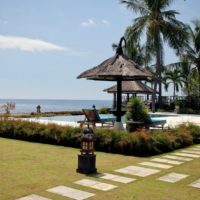 A fabulous villa in a Balinese Western style with a lot of comfort and perfectly suited for groups up to 8 people. 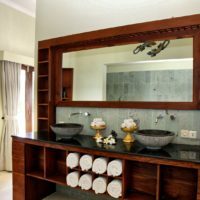 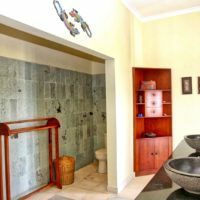 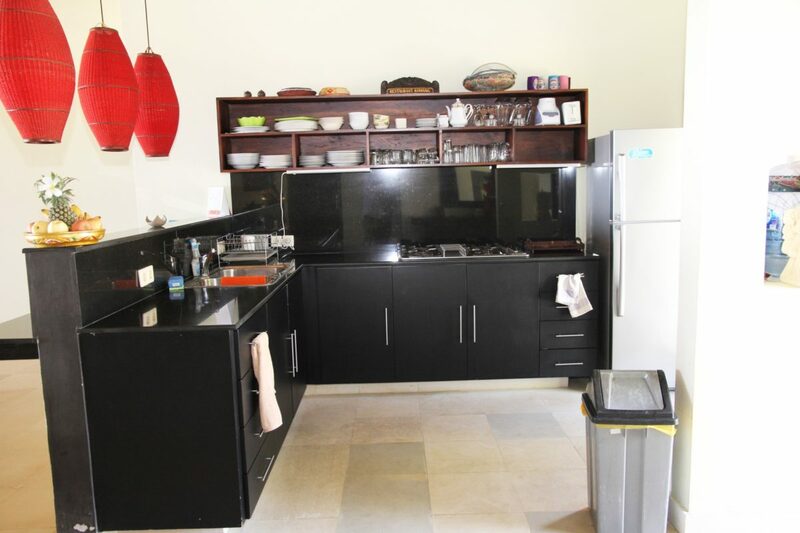 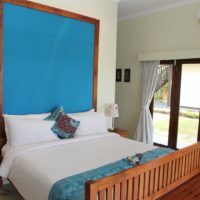 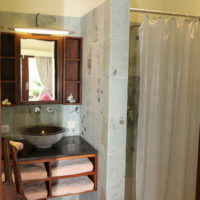 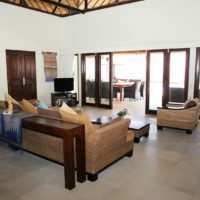 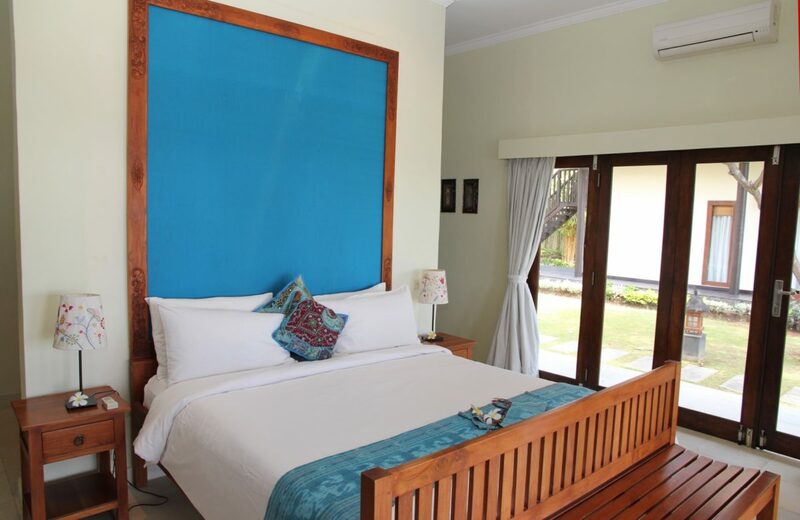 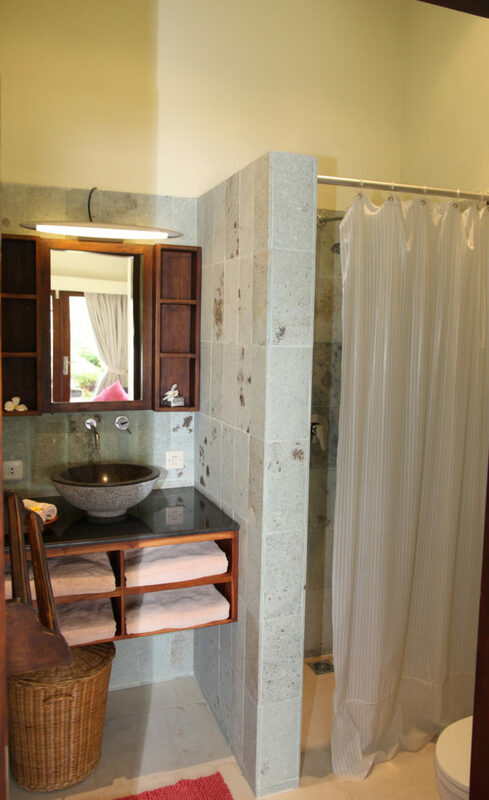 Your holiday villa dispose of 3 air conditioned bedrooms with their own luxury bathroom, a living room, well equipped kitchen and all is well maintained. 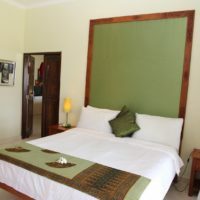 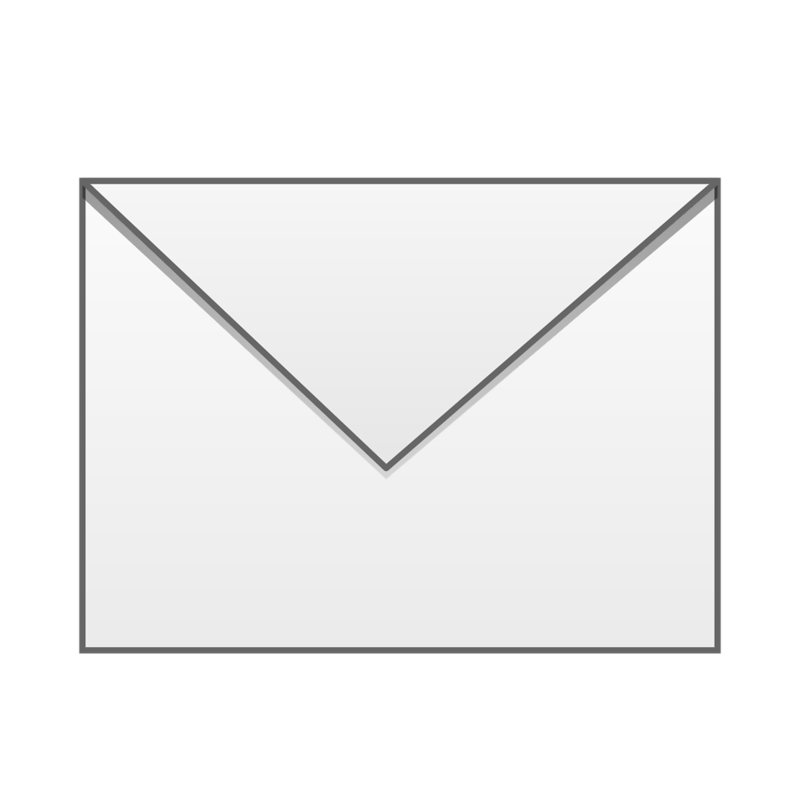 A fourth room is available and can be furnished with special children beds. 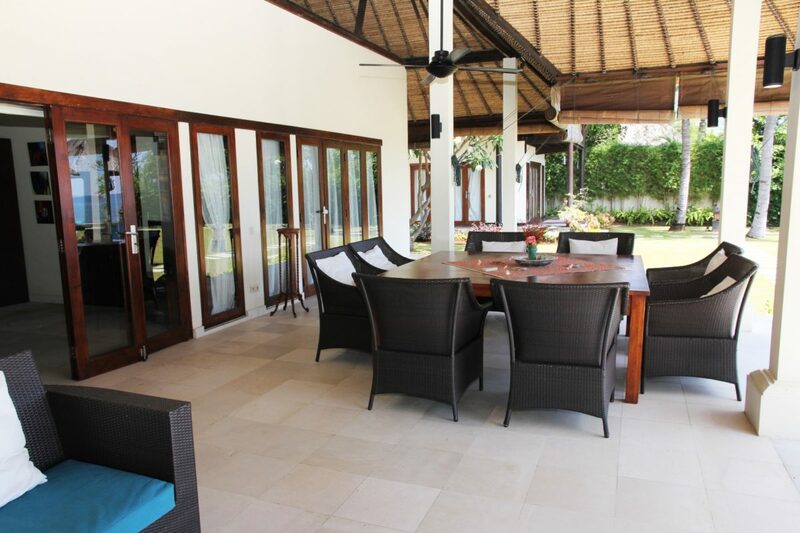 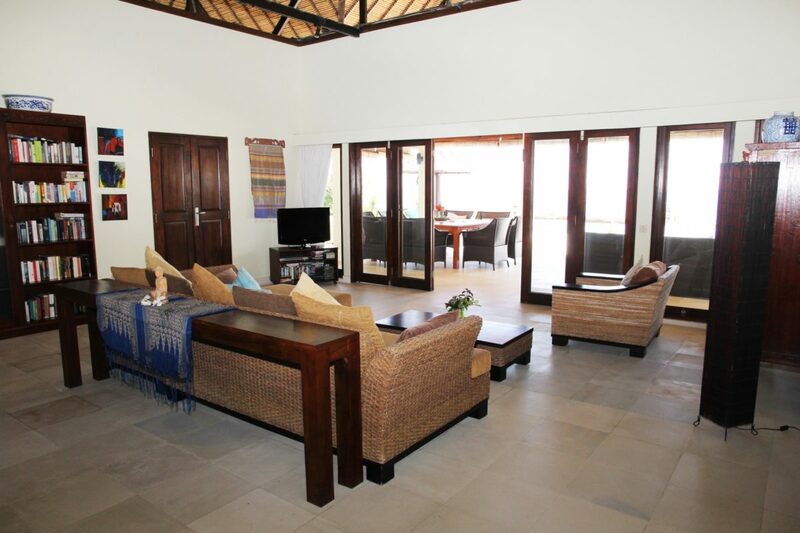 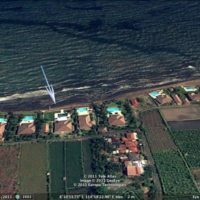 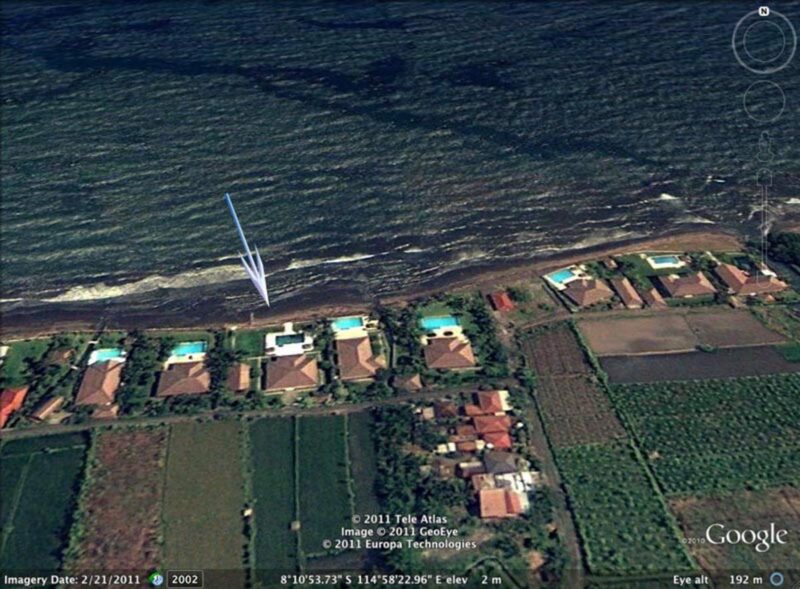 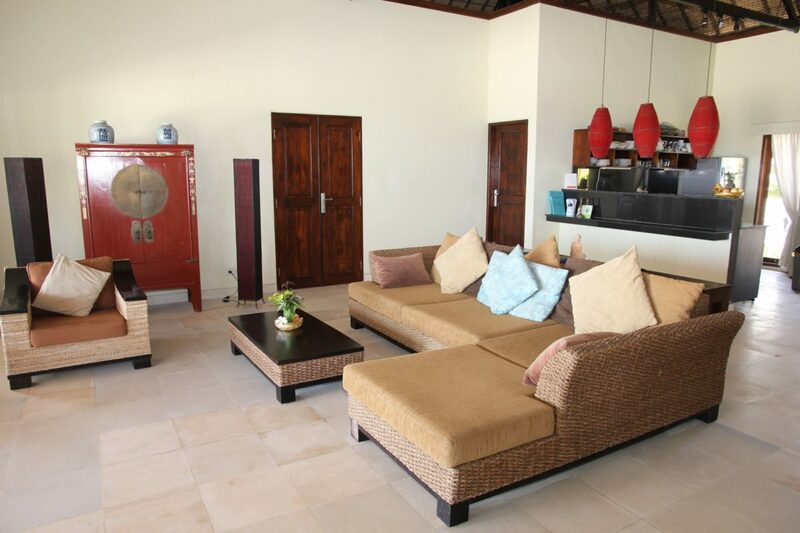 The villa is located directly at the beach and was build in 2007 on a 2000 m2 area with a swimming pool of 12 x 6 mtr. 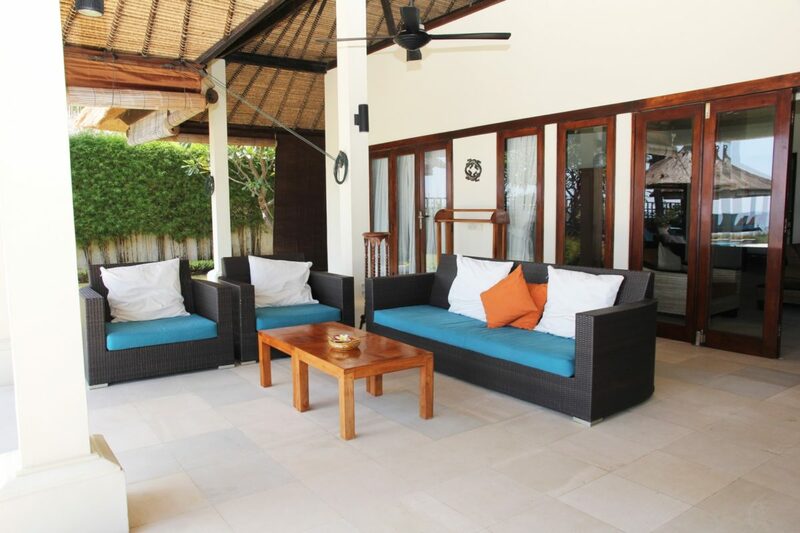 and a large pool deck with sun beds and sun-shades. 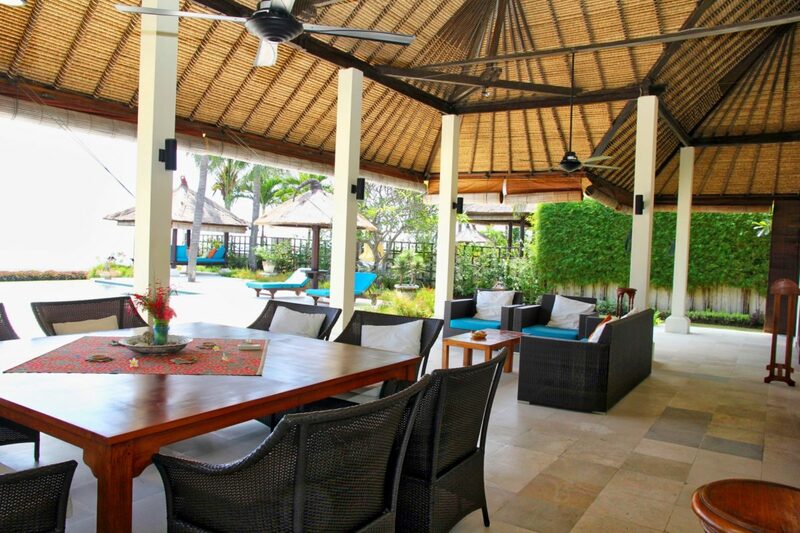 The ‘roofed in terrace’ gives you a lot of space for dining and lounging. 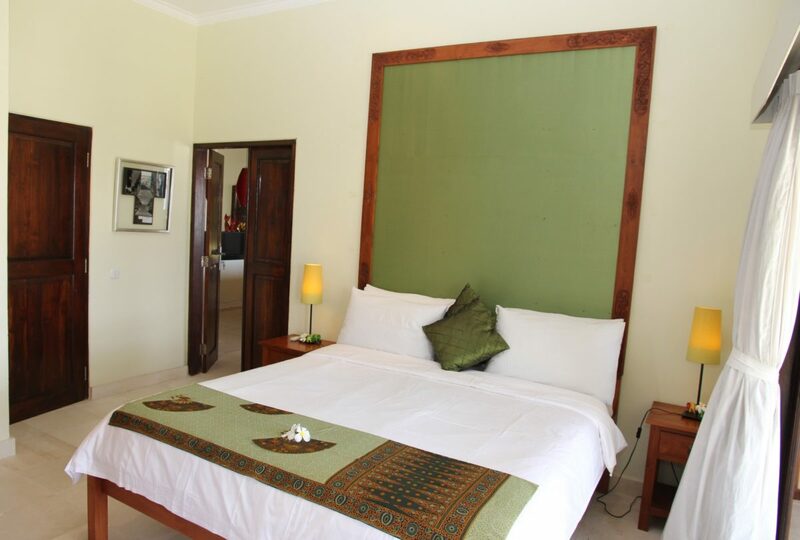 On the property you will find a separately guesthouse with a king size bed and luxury bathroom which brings the total capacity on 8 sleeps. 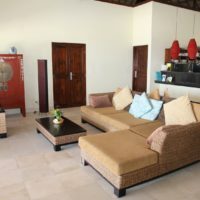 During your vacation a team of 4 staff members for cooking, cleaning, gardening- and pool maintenance is at your service. 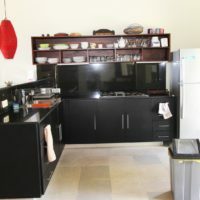 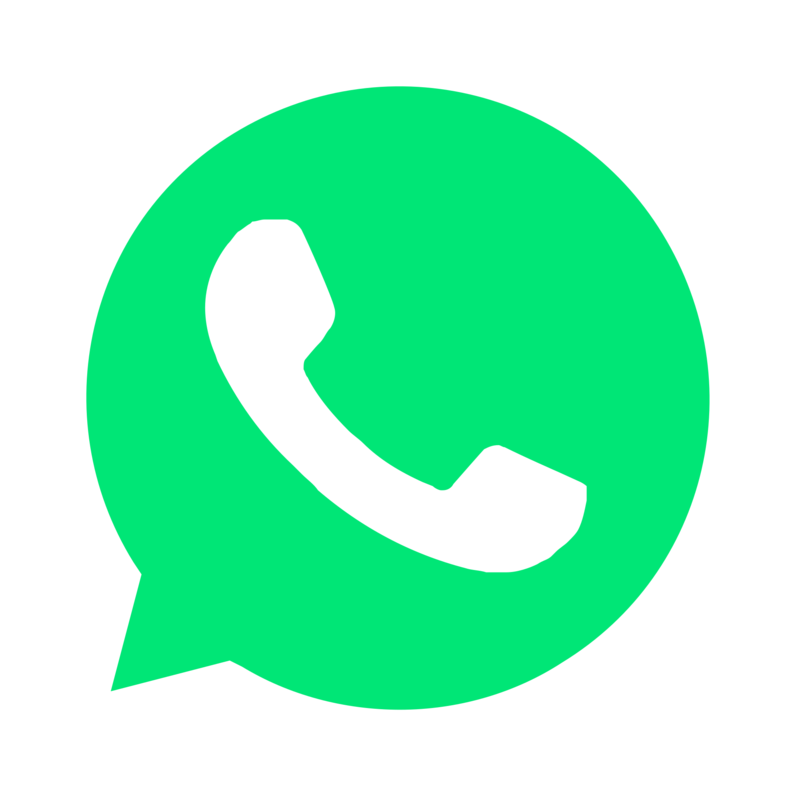 In house a WiFi internet connection, mobile phone, TV with international channels, a selection of DVD’s, books, audio equipment en safe locker are available.